Who doesn’t love chips? But why not make it healthier for you instead of the same old white potato. Instead, bake up some sweet potatoes. The nutritional value you get is way better. It’s great for your cardiovascular health, a rich source of flavonoid anti-oxidants, vitamins, minerals, and dietary fiber that are essential for optimal health. I had one big sweet potato that wasn’t used and it was just sitting there all lonely. It was snack time at our house so I thought why not make some baked sweet potato chips (with the help of the hubby of course). He sliced them thin for me and we seasoned it with salt, pepper and extra virgin olive oil. I placed it in the oven on 325 degree and baked for about 1 hr 1/2 (flipping them halfway through). It came out crispy and delish. Try it. It’s a great healthy little snack. Also goes well with a side of honey mustard. Oh yum! Were there any left over? And if so, how did they taste the next day? They look absolutely delish! haha they dont last until the next day in our house. They are so addictive. But im sure if you store them in a tin container they would probably stay fresh. I don’t even know why I asked because they’d be gone as soon as they were out of the oven at my house, too! My kids love sweet potatoes. They would definitely eat these. They look amazing! 🙂 Yum! 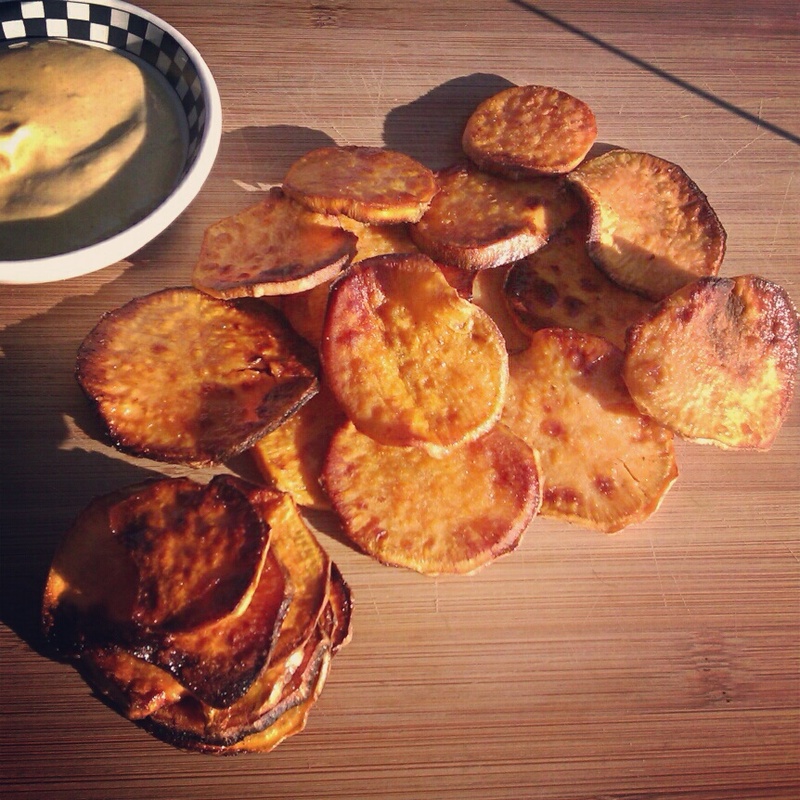 I am delighted to have your recipe as my family is crazy about sweet potato chips. Do they stay fresh or do you have to eat them right away? Well in our house they dont last until the next day haha. But im sure maybe if you store them in a tin container they might stay fresh. 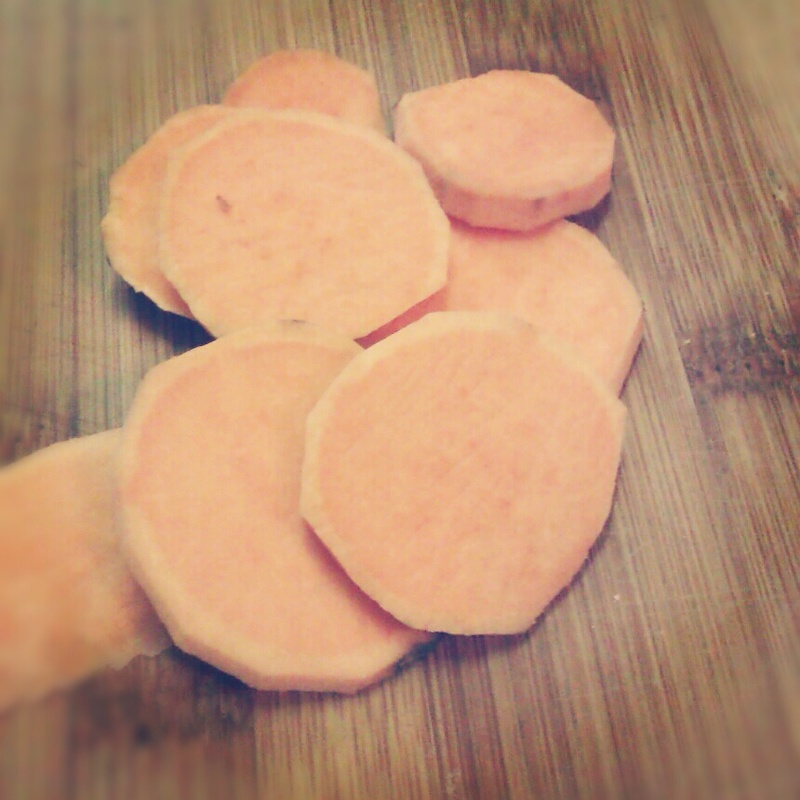 I so love sweet potatoes!! These look so delish. I love making russet potato chips with olive oil, rosemary, and garlic. Incredibly delish and the house smells amazing while they cook. I just happen to have a sweet potato on hand. I am definitely trying these tonight! Thanks! These are so much more economical than the fancy ones you see for $3-4 a bag, too.